The documentary ‘When You’re Strange’ is playing in film festivals and cinemas around the world with great reviews. A few days ago, you were in the Paris premier. Are you happy with the final result of the film and the feedback you receive from viewers? I’m very happy with ‘When You’re Strange’. A book written by you will be released in Autumn. Will it be a novel? Can you tell us some things about what the story is about? ‘The Doors: Unhinged Rock n’ Roll Goes Up On Trial’ is the title (ed: it was the first time the book’s title made known)… it’s non-fiction. Some years about you released ‘Tribaljazz’ album which combines jazz with African music. It was something you wanted to have made for years. Why it took you so long? Will be a follow-up in the future? Do you still enjoy playing rock music or you feel more comfortable with jazz? Tribaljazz was a dream come true… now back into writing. Thousands people around the world appreciate your music. Is there any chance of touring in the near future? In 2007, you said that The Doors will reunite only with Eddie Vedder on vocals and that he most likely, will accept the invitation if would be any. What happened with this? It is possible a Doors reunion? What music do you listen to these days? Is there any newer artist or band you like? And as I know you have great humor: Did people in 60’s and 70’s when you had a moustache, were thinking that in fact you were George Harrison (The Beatles guitarist)?? 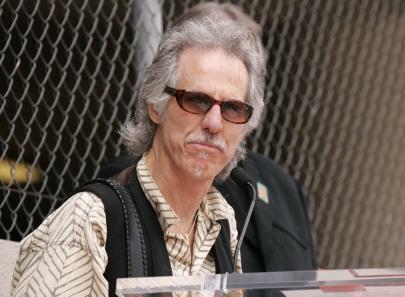 A huge “THANK YOU” to Mr John Densmore and his webmaster, Jim Southwick.